Re: Webster IC Engine build log. Oh Dear, what an idiot I am Brilliant, that makes perfect sense with the C-o-C, thank you !! 1/16 + 3/4 + 1/16 = 7/8" !! OK - I was definately slow on the uptake of this one! So as Nick suggested, my closest is going to be the 11/16" inside diameter with 3/32" cross section to give me the 7/8" OD I need? Sometimes you can't see the trees because of the forest getting in the way. Everyone gets mental blockages, just that mine now seems permanent. 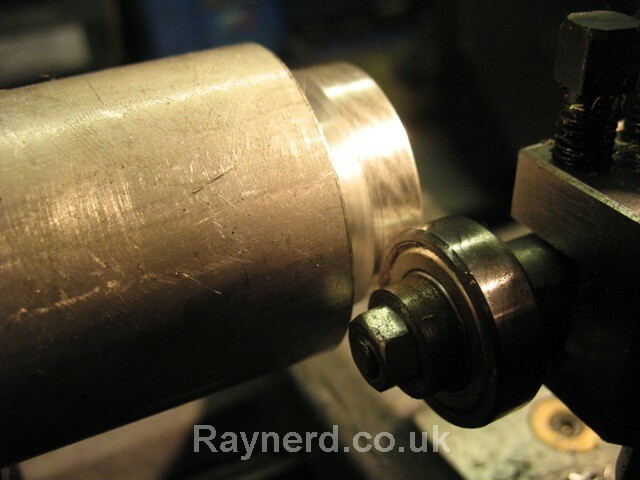 So what you should do now is to make your ring groove in the piston a couple of thou shallower than the cross section of the ring, that will give you the deformation pressure to ensure the OD of the o-ring seals against the cylinder wall. 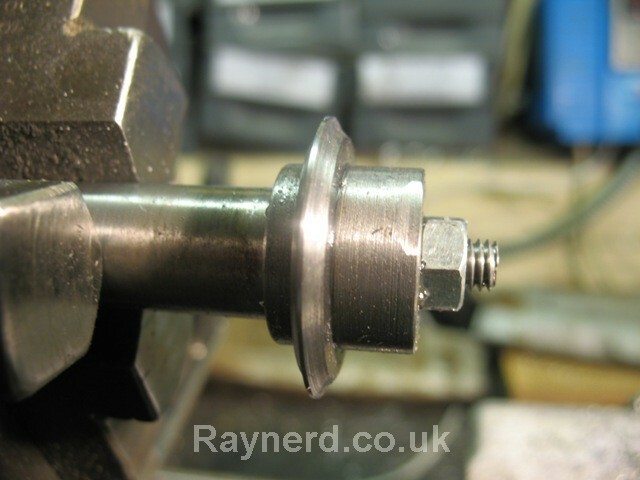 Eventually it will wear a flat on the outer face and act just like a normal piston ring. When you start to lose compression, pop a new o-ring in, and start from scratch again. Glad it's not just me then! Chris, there is a lot of debate over this subject! I think there might be some info in the tiny i.c threads too. I'd be tempted to go for a lapped bore and cast iron piston with not much clearnace. I know Jan Ridders does that on his engines. Chris, nice work on the cutter cutter. Can't remember, have you done gears like this before, or did you use the single point tool for all of them? Yes Nick, I attempted to cut the gears for my ongoing clock project but I have never used a button tool like this to cut the gears. 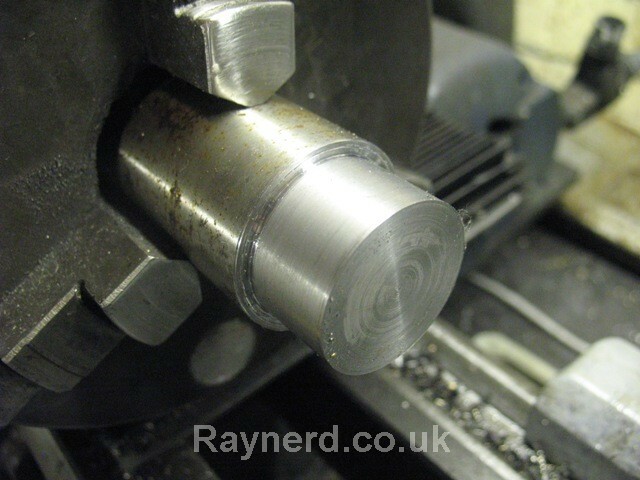 I used a similar form tool but out of HSS to profile the cutter, moving it from one side and then the other. Stew and I had a good crack at it and he managed it with me last year but to be honest, I`ve struggled accurately moving the profiling tool to the other side to get the correct measurement and a symetrical shape. I must admit, I like this idea of a button tool as that is all set out for you, the profile will be correct providing it cuts OK. I also made a multitooth cutter with Stew. Again this worked well but the concern is that if just one of the cutters is a little out, it`ll effect your cut. I think with this only cutting ally, I`m going to use a single point cutter. 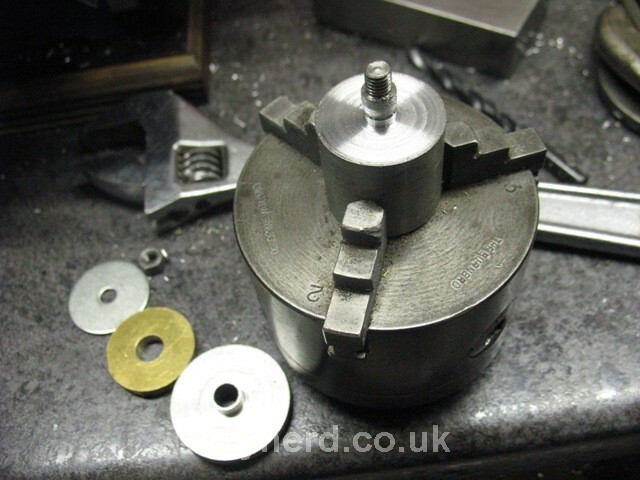 I`m just about to go and use the furnace up in DT in a few minutes during my lunch hour and harden the cutter tips. Hopefully I`ll have a go cutting the cutting tool tonight. Yep, cheers for the encouragement MadJack I need it after the last two days attempts. I`m pulling my hair out here!! 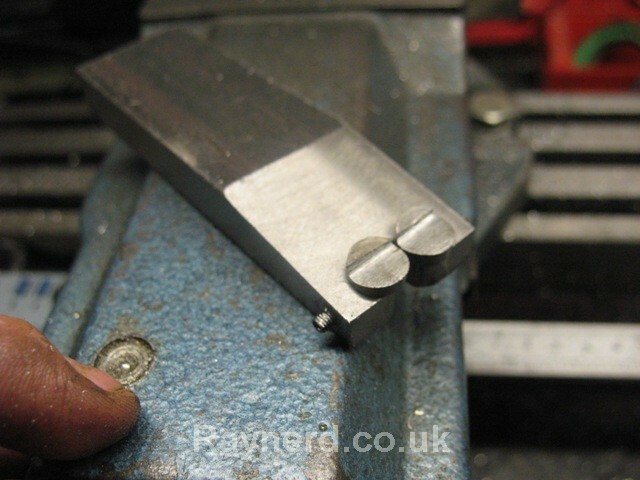 I then parted off the 0.125" wide cutter I needed after centre drilling for fitting onto the arbour. Yes, you hear correctly - I parted!! - look at the new tool! Although delighted with it, more comments will come later in the week, I`m just too stressed with this problem at the moment but cheers AdeV and John, it is through your recommendation ! Then it seemed to stop cutting, yet it was still moving into the profiling tool. I had to stop and see what was wrong and then I found that the silver steel cutter blank was cutting the buttons!! Fine - I made a wrong call and clearly the buttons were not silver steel as I presumed they were (they had gone hard, a file slid off them). So today I managed to get some 0.275" silver steel which is as near to damn it the 0.274" button dia I need. I heated them cherry red and quenched. They were real hard, a file slid right off them. So now I`ve come up stomping from the workshop - the exact same thing has happened again!! What the heck could I be doing wrong. I`m convinced the silver steel is hard, you can`t file it! Yet the cutter blank seems to be cutting/wearing them flat. Exact same problem again. The picture above was my first attempt, but the exact same has happened this evening. I`ve been sat here thinking and the only thing I could think would be that I was running the blank at too high a speed? I stupidly didn`t consider it but I don`t even know if this was the problem. Does anyone have any further comments or advice before I attempt it for the third time. I didn`t foresee this as a problematic part to the gear making! I'll properly introduce my self in the intro section later. I've been watching this thread with great interest and just wanted to throw my .02 cents in. Feel free to shoot me down if I've really got this wrong. be profiled with what is essentially a double cove cut from both the top and bottom. have corners cut into them as they are the cutters and not the cuttees, so to speak. I'm going to assume I've got that right but please let me know if I'm off base. Looking at the (madjack's reply #57) picture it looks like there's about a 10 degree angle ground into the bar holding the cutter buttons. falling away from the front cutting edge. Is it possible that the rake is too much? In other words maybe there isn't enough support behind the cutting edge. bit of annealing after harding the cutters to toughen them up. think the the swarf would be very fine. The last picture in Craynerd's reply# 57, it looks like the bottom button cutter shifted counterclockwise. Maybe an optical illusion in the picture but maybe not. Did something shift? You could be running the disc too fast try slowing it down, also try a little drop of tapping fluid on it you know the brown stuff that comes in a squeezey bottle. Had to jump in on this one, as I'm on the go to try to make my own gearcutters. One thing Chris, do you try to cut the same blank in the second attempt, if so the blank could have been workhardened from the first try. If so you have to aneel the blank, heat red and let it cool slooow. AAAAAAAAAAAnd rpm. down, aaaaaad plenty cutting-oil. I`m going off from John's plans now a little and I`m just using a single point cutter. It is unlikely I`ll use it again and to be honest, I`m cutting ally so it shouldn`t take too much of a bashing. I`m making ally gears, I know that it really is not suited but consider this will run a few times each year at maximum when it is built, I can`t foresee too many problems - thoughts? So next job is to finally cut a gear! Did you lock the saddle before you fed in the cutter? Looking at the picture it could be the saddle has moved - you did say one side cut 'better' than the other. Getting there Chris, am impressed - can't understand why it chewed the tool the first time - maybe the blank did get hard as a result of parting etc. Guess the proof will be in the pudding when you cut the gear - it looks as though it could be an optical illusion though as there is a bigger shadow on one side. Hi Kwackers, yes I locked the saddle so that wasn`t an issue. 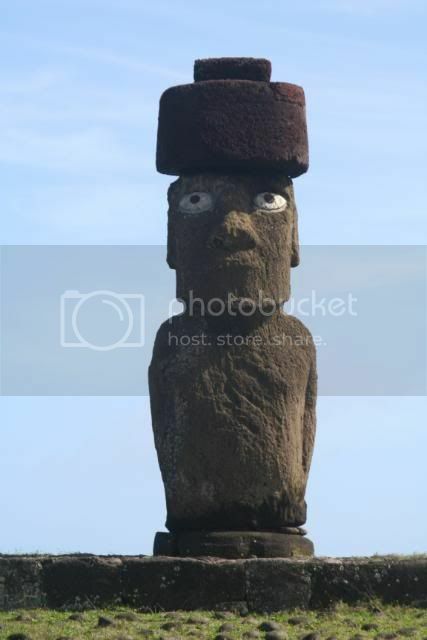 I`ve been looking at it and I just don`t know. I don`t know if it would be worth going ahead and making another cutter just to be on the safe side. It seems silly going ahead when I`m not convinced. I actually think it is an optical illusion but I know from the position of the cutter, the side that is less curved was the one that struggled cutting the most. I`m wondering if my cutting buttons were square with one another to the work. I pushed the cutter up against the tool post, but in retrospect I didn`t take the right edge of my cutter as my datum so the button front was not necessarly square to it. It didn`t take too long so rather than plough on I think I`ll have another go at cutting a new one. 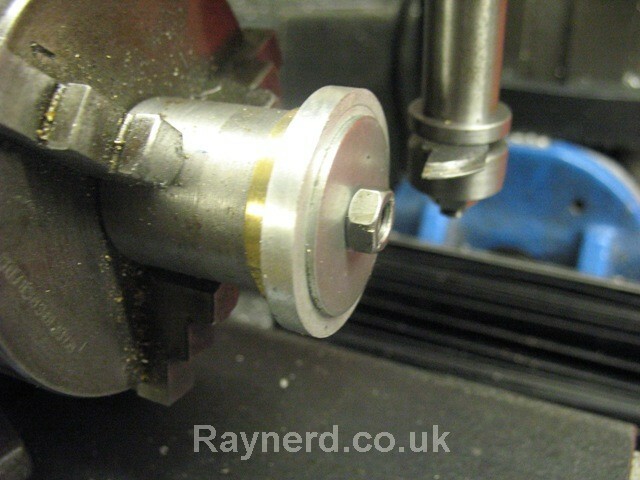 Use it to cut a slot in a small piece of say 1/8" brass. By flipping the cutter and inserting it in the other way you can figure out if it's symmetrical and if not, how much out it is. Looking good ,,,,,,,,, did you make two gear cutters ? You know what Kwackers, you advised me to do that some time ago when I was onto my clock gears- good idea, I`ll give it a go later tonight before I cut the gear itself. Rob - no just made the one cutter so far. I`ll make my second cutter one I`ve successfully cut my first gear. Setups are easy so I`ll not loose too much time making one after the other. The other will be for the 24 tooth 32DP wheel. 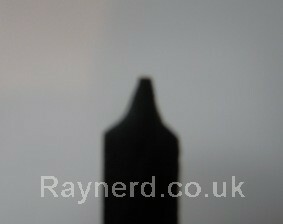 Forgot to ask ,, how thick are you making your cutter blanks ? Where blank width for a no 3 cutter: 4 / 32 (DP) = 0.125"
I didn`t understand this for some time as the blank width was irrelevant when I made the clock cutters because by profiling them you removed excess material from the sides that wasn`t needed. However I think I`ve figured it. I believe it is the clever way which John has fed in the profiling cutter - he centres the cutter so it is touching the edges of the buttons, for point 0 and feed in from there. That would therefore give an importance to cutter width. 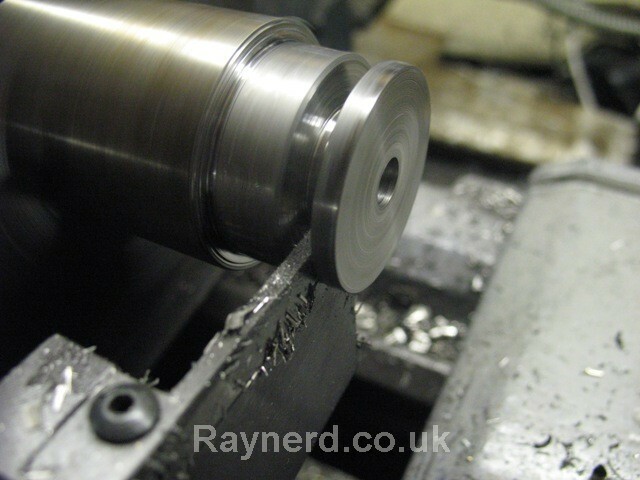 Sorry, dunno why I`ve gone off on one - you asked for the cutter width - it is 0.125"
Seems like everything on this gear cutting is taking me two attempts before I get it right. It is making me very frustrated and I have to say I`m getting a little stressed, not enjoying this bit. I`m considering going back onto the rest of the engine and coming back to this but no - I`m going to get there! So it was going well, I`d made a new cutter which was true this time. When I said one cutter wasn`t cutting right, it was because it was above centre! 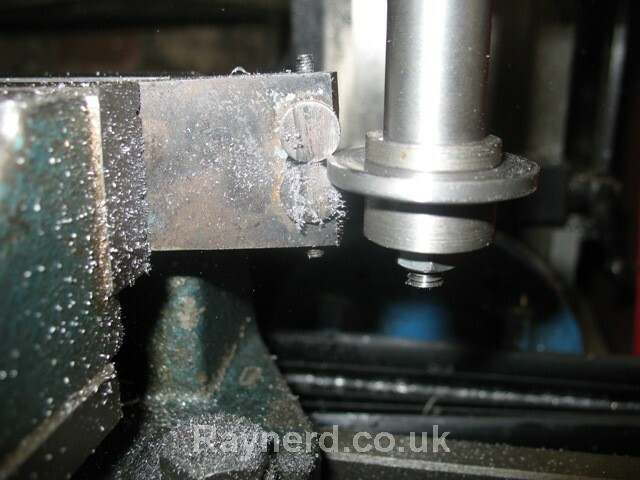 Anyway, I needed to make the gear blank and I realised I needed the work in my smaller chuck for going on the mill so I indicated near with this little indicting tool I made and posted about a bit ago. Worked well and then i got it spot on with a few taps and the DTI setup. Then I used the madrel Stew made for the clock wheels. I cut a big brass washer with a bore so that the gear spigot could enter it. the washer was thicker than the spigot so when I tightened it up I was tightening onto the body of the gear blank and not the small surface of the spigot. My first cut went fine. The second one made such a small gap between teeth that it was clearly wrong and not only that, the small piece bent. The bending was irrelevent as it was certainly too thin anyway. Ignore the one to the far right, once I`d made those first 3 cuts I just wanted to see the cutter was cutting OK. It looks fine, the edges have kicked up a good burr which could indicate the tool isn`t quite sharp enough but there is something wrong with my calculations to get that gap. Do you guys take one pass at full depth (like all the clock makers suggest) or do you work into each cut? Hi Chris, I sort of lost track of this log, or I would have chimed in earlier. The most likely problem is work hardening. Your silver steel and most hard alloy steels work harden rather easily, and to anneal them, you need full heat, up past critical, and usually need many hours of continued warmth as it cools. I put a piece in my wood stove, and take it out of the ashes the next day. When you work with cutters made from the same steel you're trying to cut, you are set up for disaster, as the same temperature/pressure conditions that work harden the blank will anneal the cutters you are using. 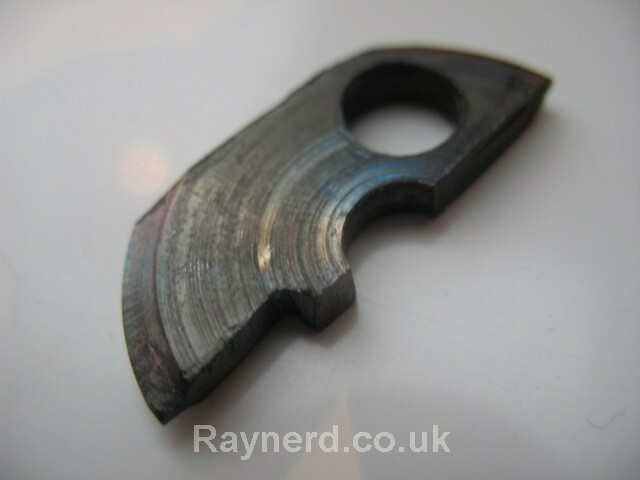 For what you are doing, I would suggest making the cutters out of silver steel, heat treat them, and draw a very minimum, just enough to keep the edges from shattering off from pressure. 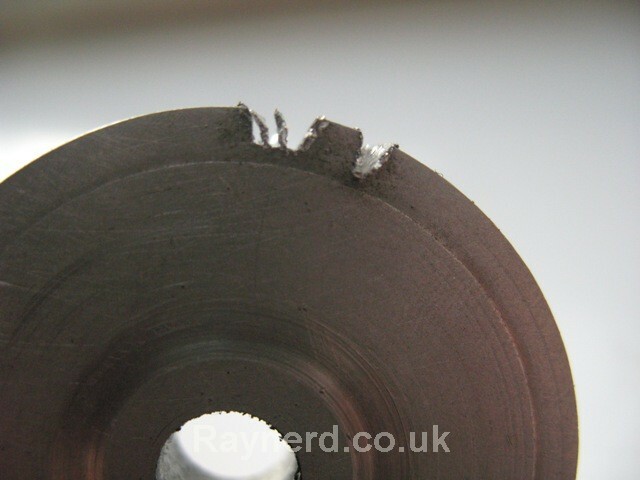 I would use a piece of free cutting steel for the cutter blank, something leaded, use plenty of cutting oil, preferably brown sulfurated, because of the wonderful smell, not to mention the effect it has on cutting free cutting steel. After you have the profile done on the blank, and you're satisfied it's right on both sides, then go through the work of cutting teeth, back clearance and all that, and when it's done, then case harden the cutter with casenite. 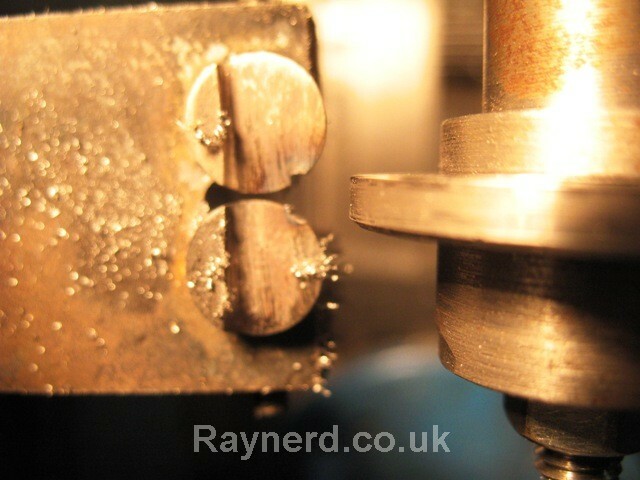 I use this method for gear cutters, and generally quench from the case hardening in oil, and don't temper at all. That works well for both brass and aluminum gears. Madjack - yes I`m not sure why I had the problems, perhaps some work hardening. I also think the cutter tips were a little too high. What I am most confused about now is why teeth are too close together. I have had time today to re-measure and I just don`t get it. 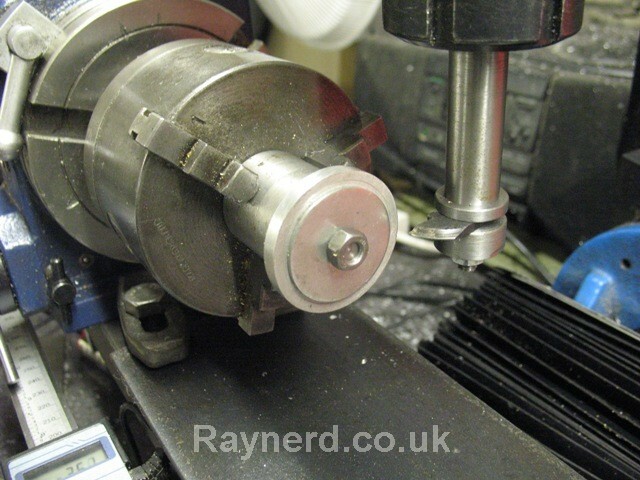 All my calculations seem OK and the Outside gear blank diameter is fine. Yet the teeth are too close together and leaving too small a gap, just a flake of material between the teeth. OK I only cut two teeth, but I didn`t need any more to see that! I`m now confused!